Ayden Jones, 5, of Port Arthur, was told he can't return to school at Tekoa Academy of Accelerated Studies STEM School in Port Arthur without cutting his hair. Some parents at Tekoa Academy of Accelerated Studies STEM School are upset after their children were told they cannot return to school without a haircut. 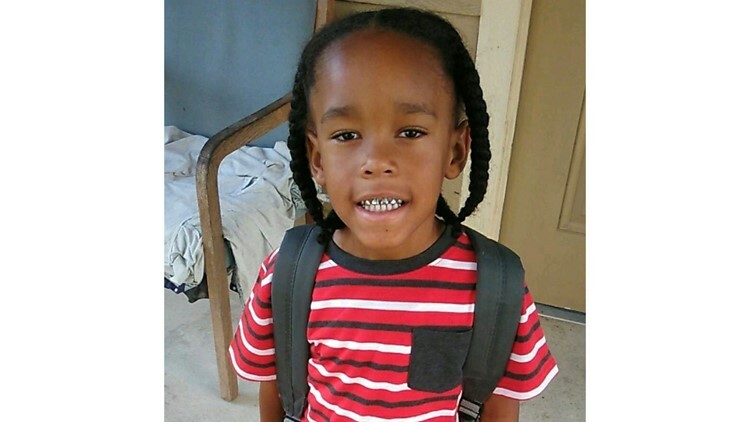 PORT ARTHUR — A kindergartner at a Port Arthur charter school has been told he can't come to class without cutting his braids off. Ayden Jones, 5, who has never had his hair cut since birth, has been attending the school for a couple of years now with no issues, but this year Tekoa Academy of Accelerated Studies STEM School now says his hairstyle is against the rules. Jones' grandmother, Shawn Fontenot, and other parents at Tekoa Academy told 12News they are upset after their sons were told they cannot return to class without a haircut. The parents tell 12News the boys have worn their hair long for the past couple of years and it has never been an issue before now. "Our policies are our policies and our procedures are our procedures," a Tekoa Academy spokesperson said, adding that the rules have always been a part of the school's policy. The spokesperson said the school strives to teach students at a young age that appearance is everything. She went on to say parents who disagree with the school's policies have the right to send their children to a different school. "We have standards here and kids love standards," she said. "They love boundaries." But the parents said even if the policy has been in place for some time, they were not told about the rules or given a handbook containing the rules.